Ender Wiggin is Battle School's latest recruit. His teachers reckon he could become a great leader: and they need one. A vast alien force is headed for Earth, it's mission - the annihiliation of all human life. He could be our only hope, but first he must survive a brutal trainin... read full description below. Ender Wiggin is Battle School's latest recruit. His teachers reckon he could become a great leader. And they need one. A vast alien force is headed for Earth, its mission: the annihilation of all human life. Ender could be our only hope. But first he must survive the most brutal military training program in the galaxy...With its explosive storyline, pump-action excitement and hugely engaging central characters, Ender's Game is 2002's absolute must-read for teenaged boys. Forget schools for wizards, this is where the *real* action is. Another outing for the classic legend of the boy who journeys to the stars to defeat an alien horde and save the human race. Ender Wiggin is Battle School's latest recruit. His teachers reckon he could become a great leader. And they need one. A vast alien force is headed for Earth: its mission, the annihilation of all human life. Ender could be our only hope. But first he must survive the most brutal military training programme in the galaxy... With its explosive storyline, pump-action excitement and hugely engaging central characters, Ender's Game is a sure-fire winner. Orson Scott Card is the multi-award winning and bestselling author of a host of groundbreaking SF novels, and his storytelling acumen is well to the fore here. Orson Scott Card is the multi-award winning and bestselling author of a number of ground-breaking adult SFF novels. 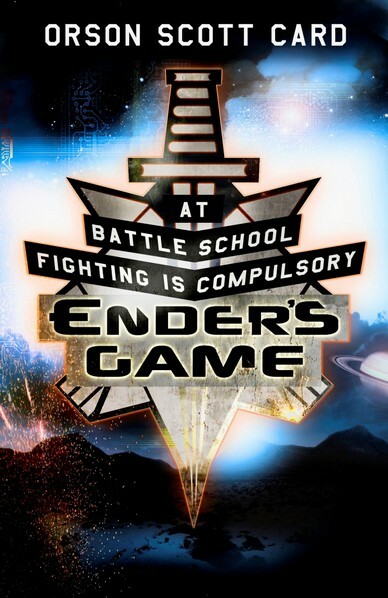 Ender's Game is his first YA cross-over novel in the UK.